The Record OR (Off Road) group from the early 90's. Adjustable 28.6-33mm clamp version. There was also a set of top-pull designed derailleurs. Details: This was Campagnolo's top of the line off-road group from 1992 through 1995. 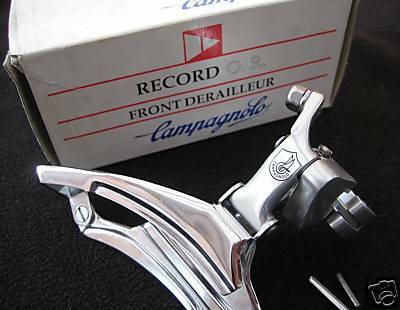 Like all Campagnolo groups of the time it utilized what they called Exa-Drive and was an 8speed indexed system.